We also use rust-proof retractable gates for outdoor use for openings less than 6’ wide. Baby Proofing Montgomery installed a retractable gate to separate the patio from flagstone steps. This allows the family the flexibility to have a gate when needed or to leave the doorway open when older children and adults are coming and going. 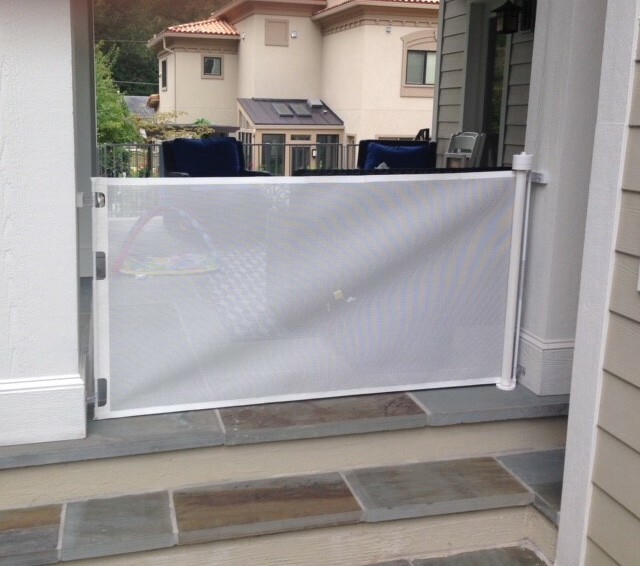 Retractable gates are great for saving space where a swing gate may interfere with the walkway.